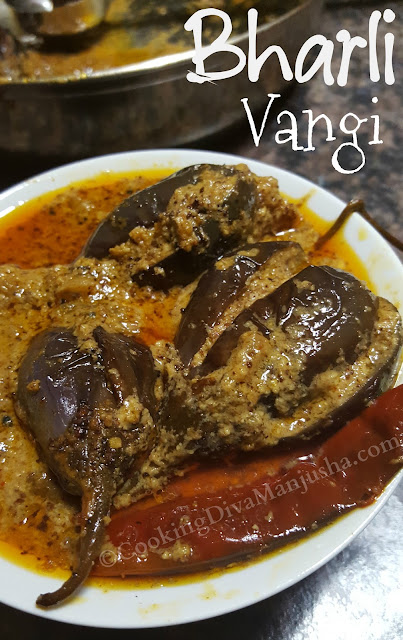 Bharli Vangi is a Maharashtrian style stuffed eggplant recipe . "Bharli" in Marathi means stuffed and "Vangi" in Marathi (A south Indian language from the Indian state of Maharashtra) .This Maharashtrian recipe is quite tasty I must say ,one of the eggplant recipe I fell in love with totally . For making this eggplant recipe,baby eggplants are used exclusively and filled with a special ground paste /Goda masala and made into a fingerlicking,liplicking,platelicking brinjal recipe (Eggplant is called "Brinjal " in India and "Baingan" in Hindi ). 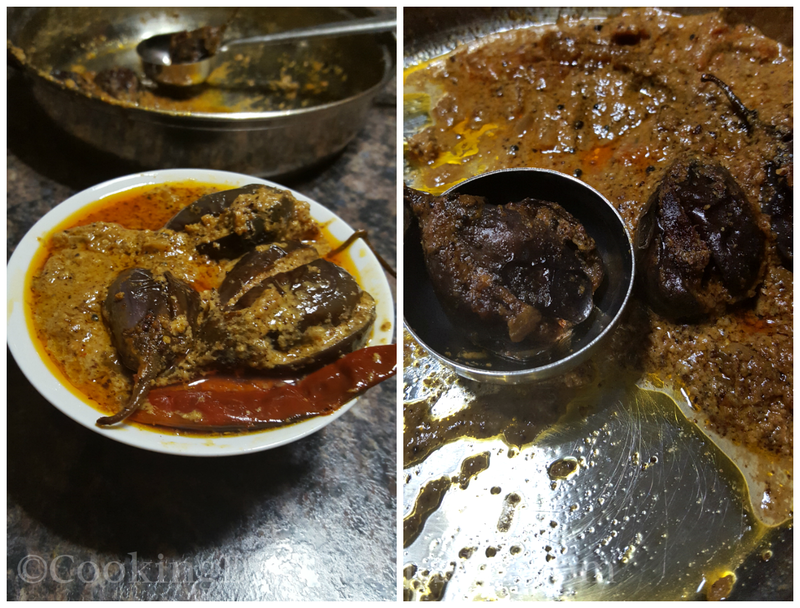 I am extremely happy that I came across this baingan curry and now it is one of my family's favorite go-to Brinjal gravy at home. Just like other vegetables,eggplants were never enticing to me other than this Baingun baja recipe which is more like a snack . However,the baby eggplants look so cute that they do some kind of maya/illusion/magic on me ,I am immediately drawn towards them and then I usually end up making varieties of stuffed eggplant curries and this is the first of them that made it to my blog so far. Eggplants are also known as Garden eggs,Guinea squash,melongene ..